The Mckinsey Global Institute recently published a report entitled – Big data: The next frontier for innovation, competition, and productivity . The Mckinsey Global Institute report on big data is no more than a lengthy essay in fallacies, inflated hyperbole, faulty assumptions, lacking in evidence for its claims and ignoring the two most important stakeholders of healthcare – namely doctors and patients. They just gloss over the security and privacy implications of putting up a big big target with a sign that says “Here is a lot of patient healthcare data – please come and steal me“. In health care, big data can boost efficiency by reducing systemwide costs linked to undertreatment and overtreatment and by reducing errors and duplication in treatment. These levers will also improve the quality of care and patient outcomes. To calculate the impact of big-data-enabled levers on productivity, we assumed that the majority of the quantifiable impact would be on reducing inputs. The MGI report does not offer any correlation between reduction in systemwide costs and improving the quality of care of the individual patient. The report deals with the macroeconomics of the pharmaceutical and healthcare organization industries. In order to illustrate why systemwide costs are not an important factor in the last mile of healthcare delivery, let’s consider the ratio of system overhead to primary care teams in Kaiser-Permanente – one of the largest US HMOs. At KP, (according to their 2010 annual report) – out of 167,000 employees, there were 16,000 doctors, and 47,000 nurses. Primary care teams account for only 20 percent of KP head-count. Arguably, big-data analytics might enable KP management to deploy services in more effective way but do virtually nothing for the 20 percent headcount that actually encounter patients on a day to day basis. Some actions that can help stem the rising costs of US health care while improving its quality don’t necessarily require big data. These include, for example, tackling major underlying issues such as the high incidence and costs of lifestyle and behavior-induced disease. …the use of large datasets has the potential to play a major role in more effective and cost-saving care initiatives, the emergence of better products and services, and the creation of new business models in health care and its associated industries. Being a consulting firm, MGI stays firmly seated on the fence and only commits itself to fluffy generalities about the potential to save costs with big data. The terms ROI or return on investment is not mentioned even once because it would ruin their argumentation. As a colleague in the IT division of the Hadassah Medical Organization in Jerusalem told me yesterday, “Hadassah management has no idea of how much storing all that vital sign from smart phones will cost. As a matter of fact, we don’t even have the infrastructure to store big data”. It’s safe to wave a lot of high-falutin rhetoric around about $300BN value-creation (whatever that means), when you don’t have to justify a return on investment or ask grass-level stakeholders if the research is crap. MGI does not explain how that potential might be realized. It sidesteps a discussion of the costs of storing and analyzing big data, never asks if big data helps doctors make better decisions and it glosses over low-cost alternatives related to educating Americans on eating healthy food and walking instead of driving. ..we included savings from reducing overtreatment (and undertreatment) in cases where analysis of clinical data contained in electronic medical records was able to determine optimal medical care. MGI makes an absurd assumption that automated analysis of clinical data contained in electronic medical records can determine optimal medical care. This reminds me of a desert island joke. A physicist and economist were washed up on a desert island. They have a nice supply of canned goods but no can-opener. To no avail, the physicist experiments with throwing the cans from a high place in the hope that they will break open (they don’t). The economist tells his friend “Why waste your time looking for a practical solution, let’s just assume that we have a can-opener!”. The MGI report just assumes that we have a big data can-opener and that big data can be analyzed to optimize medical care (by the way, they do not even attempt to offer any quantitive indicators for optimization – like reducing the number of women that come down with lymphema after treatment for breast cancer – and lymphedema is a pandemic in Westerm countries, affecting about 140 million people worldwide. ^ Brorson, M.D., H.; K. Ohlin, M.D., G. Olsson, M.D., B. Svensson, M.D., H. Svensson, M.D. (2008). “Controlled Compression and Liposuction Treatment for Lower Extremity Lymphedema”. Lymphology 41: 52-63. ^ Kissin, MW; G. Guerci della Rovere, D Easton et al (1986). “Risk of lymphoedema following the treatemnt of breast cancer.”. Br. J. Surg. 73: 580-584. ^ Segerstrom, K; P. Bjerle, S. Graffman, et al (1992). “Factors that influence the incidence of brachial oedema after treatment of breast cancer”. Scand. J. Plast. Reconstr. Surg. Hand Surg. 26: 223-227. Examples include joining different data pools as we might see at financial services companies that want to combine online financial transaction data, the behavior of customers in branches, data from partners such as insurance companies, and retail purchase history. Also, many levers require a tremendous scale of data (e.g., merging patient records across multiple providers), which can put unique demands upon technology infrastructures. To provide a framework under which to develop and manage the many interlocking technology components necessary to successfully execute big data levers, each organization will need to craft and execute a robust enterprise data strategy. The American Recovery and Reinvestment Act of 2009 provided some $20 billion to health providers and their support sectors to invest in electronic record systems and health information exchanges to create the scale of clinical data needed for many of the health care big data levers to work. The notion that more data is better (the approach taken by Google Health and Microsoft and endorsed by the Obama administration and blindly adopted by MGI in their report. EHR is based on textual data, and is not organized around patient clinical issue. Current EHR systems store large volumes of data about diseases and symptoms in unstructured text, codified using systems like SNOMED-CT1. Codification is intended to enable machine-readability and analysis of records and serve as a standard for system interoperability. Even if the data was perfectly codified, it is impossible to achieve meaningful machine diagnosis of medical interview data that was uncertain to begin with and not collected and validated using evidence-based methods. In prospect theory3, concavity is attributed to the notion of diminishing sensitivity, according to which the more units of a stimulus one is exposed to, the less one is sensitive to additional units. Under conditions of uncertainty in a medical diagnosis process, as long as it is relevant, less information enables taking a better and faster decision, since less data processing is required by the human brain. When a doctor examines and treats a patient, he thinks in terms of “issues”, and the result of that thinking manifests itself in planning, tests, therapies, and follow-up. In current EHR systems, when a doctor records the encounter, he records planning, tests, therapies, and follow-up, but not under a main “issue” entity; since there is no place for it. The next doctor that sees the patient needs to read about the planning, tests, therapies, and follow-up and then mentally reverse-engineer the process to arrive at which issue is ongoing. Again, he manages the patient according to that issue, and records everything as unstructured text unrelated to issue itself. MGI states that their work is independent and has not been commissioned or sponsored in any way by any business, government, or other institution. True, but MGI does have consulting gigs with IBM and HP that have vested interests in selling technology and services for big data. The analogies used in the MGI report and their tacit assumptions probably work for retail in understanding sales trends of hemlines and high heels but they have very little to do with improving health, increasing patient trust and reducing doctor stress. The study does not cite a single interview with a primary care physician or even a CEO of a healthcare organization that might support or validate their theories about big data value for healthcare. This is shoddy research, no matter how well packaged. The MGI study makes cynical use of “framing” in order to influence the readers’ perception of the importance of their research. By citing a large number like $300BN readers assume that impact of big data is well, big. They don’t pay attention to the other stuff – like “well it’s only a potential savings” or “we never considered if primary care teams might benefit from big data (they don’t). At the end of the day, $300BN in value from big data healthcare is no more than a round number. What we need is less data and more meaningful relationships with our primary care teams. Can I use Dropbox for storing healthcare data? First of all, I’m a great fan of Dropbox. It’s easy to use, fast, runs on Windows, Mac and Linux and that means you can share files with colleagues and patients for consultations because that old assumption (that a lot of vendors still make by the way) that everyone is on Windows just isn’t true these days. People have Windows 7, Mac, Ubutu 12.04, Android smart phones, iPads and they all run Dropbox. When you have multiple Dropbox clients configured, your files will be instantly synchronized between all your devices when they come online. I use it daily to exchange files between my Android phone, Android tablet and Ubuntu desktop. Any change performed in the monitored folder is immediately synchronized with the other devices. My colleague Sharon, who has an iPad3 and a iMac, is synchronized with me and we can quickly exchange files regarding cases we are working on together especially leading up to our weekly review meeting. Dropbox is easy but is it private? The short answer is that you should not store PHI (protected health information on Dropbox – since they share data with third party applications and service providers, but the real reason is you should not use Dropbox for sharing healthcare information with patients is simply that it is not private by design. Everyone who shares a folder in your dropbox sees all the files in the dropbox. Information You Provide. When you register an account, we collect some personal information, such as your name, phone number, credit card or other billing information, email address and home and business postal addresses. Data retention. We may retain and use your information as necessary to comply with our legal obligations, resolve disputes, and enforce our agreements. If you want to have complete control and privacy of data that you share with patients, you need a controlled, private social network for healthcare that ensures no overlap between patients and no overlap between physician networks. This is privacy by design. I have heard of military operations that were clumsy but swift, but I have never seen one that was skillful and lasted a long time. Master Sun (Chapter 2 – Doing Battle, the Art of War). It’s a space that’s hard to ignore. Are large internally-focused GRC systems the solution for improving risk and compliance? Or should we go outside the organization to look for risks we’ve never thought about and discover new links and interdependencies . This article introduces a practical approach that will help the CISOs/CSOs in any sized business unit successfully improve compliance and reduce information value at risk. We call this approach “GRC 2.0” and base it on 3 principles. GRC (Governance, Risk and Compliance) was first coined by Michael Rasmussen. GRC products like Oracle GRC Suite and Sword Achiever, cost in the high six figures and enable large enterprises to automate the workflow and documentation management associated with costly and complex GRC activities. GRC regulation comes in 3 flavors: government legislation, industry regulation and vendor-neutral security standards. Government legislation such as SOX, GLBA, HIPAA and EU Privacy laws were enacted to protect the consumer by requiring better governance and a top-down risk analysis process. PCI DSS 2.0; a prominent example of Industry regulation, was written to protect the card associations by requiring merchants and processors to use a set of security controls for the credit card number with no risk analysis. The vendor-neutral standard, ISO27001 helps protect information assets using a comprehensive set of people, process and technical controls with an audit focus. The COSO position makes sense, but in practice it’s difficult to attain process improvement through enterprise GRC management. Unlike ERP, GRC lacks generally accepted principles and metrics. Where finance managers routinely use VaR (value at risk) calculations, information security managers are uncomfortable with assessing risk in financial measures. The finance department has quarterly close but information security staffers fight a battle that ebbs and flows and never ends. This creates silos – IT governance for the IT staff and consultants and a fraud committee for the finance staff and auditors. GRC 1.0 assumes a fixed structure of systems and controls. The problem is that, in reducing the organization to passive executives of defense rules in their procedures and firewalls, we ignore the extreme ways in which attack patterns change over time. Any control policy that is presumed optimal today is likely to be obsolete tomorrow. Learning about changes must be at the heart of day-to-day GRC management. A fixed control model of GRC is flawed because it disregards a key feature of security and fraud attacks – namely that both attackers and defenders have imperfect knowledge in making their decisions. Recognizing that our knowledge is imperfect is the key to solving this problem. The goal of the CSO/CISO should be to develop a more insightful approach to GRC management. The first step is to get everyone speaking the same language. We formalize this language using a threat analysis base class which (like any other class), has attributes and methods. Attributes have two sub-types – threat entities and people entities. Assets have value, fixed or variable in Dollar, Euro, and Rupee etc. Examples of assets are employees and intellectual property contained in an office. Vulnerabilities are weaknesses or a lacking in the business. For example – a wood office building with a weak foundation built in an earthquake zone. Threats exploit vulnerabilities to cause damage to assets. For example – an earthquake is a threat to the employees and intellectual property stored on servers in the building. Countermeasures have a cost, fixed are variable and mitigate the vulnerability. For example – relocating the building and using a private cloud service to store the IP. Business decision makers encounter vulnerabilities and threats that damage company assets in their business unit. 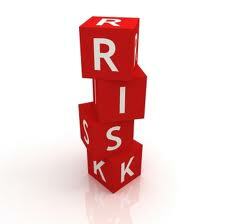 In a process of continuous interaction and discovery, risk is part of the cost of doing business. 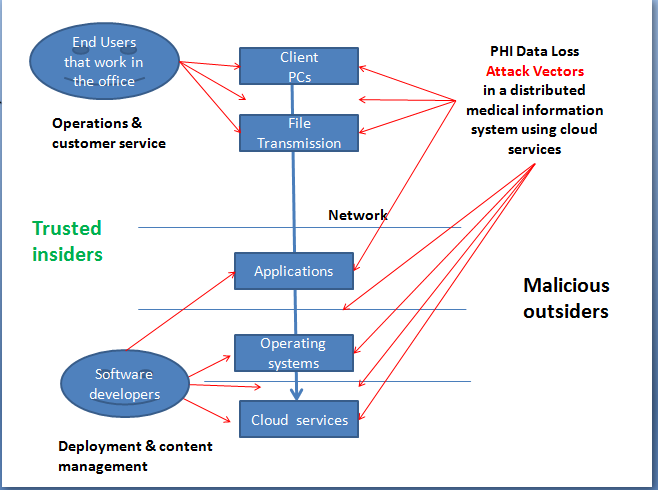 Attackers create threats and exploit vulnerabilities to damage the business unit. Some do it for the notoriety, some for the money and some do it for the sales channel. Consultants assess risk and recommend countermeasures. It’s all about the billable hours. Vendors provide security countermeasures. The effectiveness of vendor technologies is poorly understood and often masked with marketing rhetoric and pseudo-science. SetCountermeasureEffectiveness – estimated effectiveness of the countermeasure in a percentage. A language with 8 words is not hard to learn, it’s easily accepted by CFO, CIO and CISO since these are familiar business terms. The application of our 8 word language is also straightforward. Instances of the threat analysis base class are “threat models” – and can be used in the entire gamut of GRC activities: Sarbanes-Oxley, which requires a top down risk analysis of controls, ISO27001 – controls are countermeasures that map nicely to vulnerabilities and threats (you bring the assets) and PCI DSS 1.2 – the PAN is an asset, the threats are criminals who collude with employees to steal cards and the countermeasures are specified by the standard. Leading up to the Al Qaida attack on the US in 9/11, the FBI investigated, the CIA analyzed but no one bothered to discuss the impact of Saudis learning to fly but not land airplanes. This sort of GRC disconnect in organizations is easily resolved between silos, by the common, politically neutral language of the threat analysis base class. Effective GRC management requires neither better mathematical models nor complex enterprise software. It does require us to explore new threat models and go outside the organization to look for risks we’ve never thought about and discover new links and interdependencies that may threaten our business. If you follow the Tao of GRC 2.0 – it will be more than a fulfillment exercise. I think that 2011 is going to be an exciting year for medical device security as the FDA gets more involved in the ﻿approval and clearance process with software-intensive medical device vendors. Considering how much data is exchanged between medical devices and customer service centers/care givers/primary clinical care teams and how vulnerable this data really is, there is a huge amount of work to be done to ensure patient safety, patient privacy and delivery of the best medical devices to patients and their care givers. On top of a wave of new mobile devices and more compliance, some serious change is in the wings in Web services as well. The Web application execution model is going to go through an inflection point in the next two years transitioning from stateless HTTP, heterogeneous stacks on clients and servers and message passing in the user interface (HTTP query strings) to WebSocket and HTML5 and running the application natively on the end point appliance rather than via a browser communicating to a Web server. That’s why we are in for interesting times I believe. There are 4 key drivers for improving software security of medical devices, some exogenous, like security, others product-oriented like ease of use and speed of operation. Note that end-user concerns for data security don’t seem to be a real market driver. Against the backdrop of these 4 drivers, I see 4 key verticals: embedded devices, mobile applications, implanted devices and Web applications. Connectivity and integration into enterprise hospital networks: guidelines? Is the Apple Store, Android Market a back door for medical device software with vulnerabilities? Use of distributed databases like CouchDB to store synchronized data in a head end data provider and in the mobile device The vulnerability is primarily patient privacy since a distributed setup like this probably increases total system reliability rather than decreasing it. For the sake of discussion, CouchDB is already installed on 10 million devices world wide and it is a given that data will be pushed out and stored at the end point hand held application. Use cloud computing as service delivery model. Knowing this – would you use Facebook Groups for a business networking application – like sales professionals talking to clients? I don’t think so. FB will never give up their profiling data since their revenue model is advertising-based. The low cost of running a private controlled social network like Elgg in the cloud should be a competitive alternative to FB Groups for a small business looking to leverage social networking to reduce cost of customer support, marketing and distribution of material.